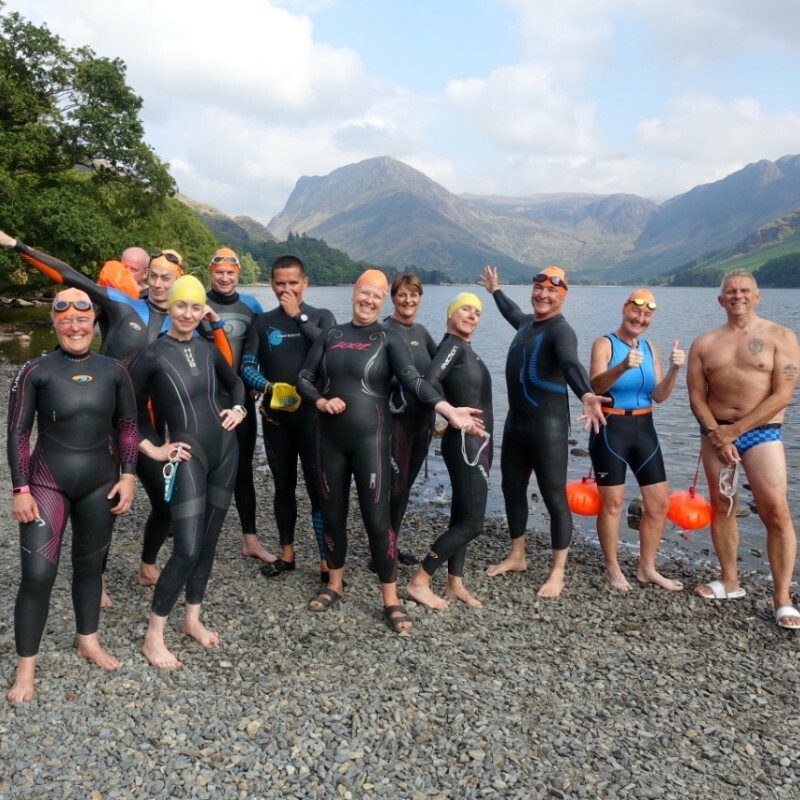 The Utterly Buttermere Adventure Swim is set in one of the most inspirational swimming locations in the world, the Buttermere Valley in the un-spoilt western Lake District. 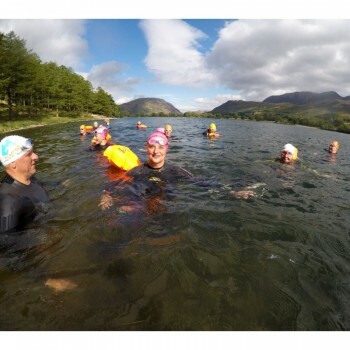 Two crystal clear lakes, sparkling waterfalls, classic swims plus fully catered comfortable accommodation wait for you at the heart of a very special Lakeland Village. The Utterly Buttermere Adventure Swim break is an absolute must for your wild swimming calendar. 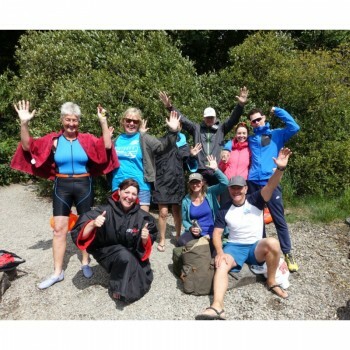 Includes: Fully inclusive meals & accommodation, qualified guides & safety team, swim cap and our signature hot chocolate and cake. 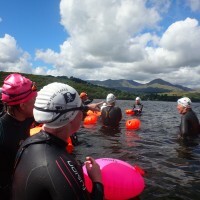 Swim Ability & Fitness: For confident swimmers who can comfortably swim at least 2 miles in open water. Moderate walking fitness. 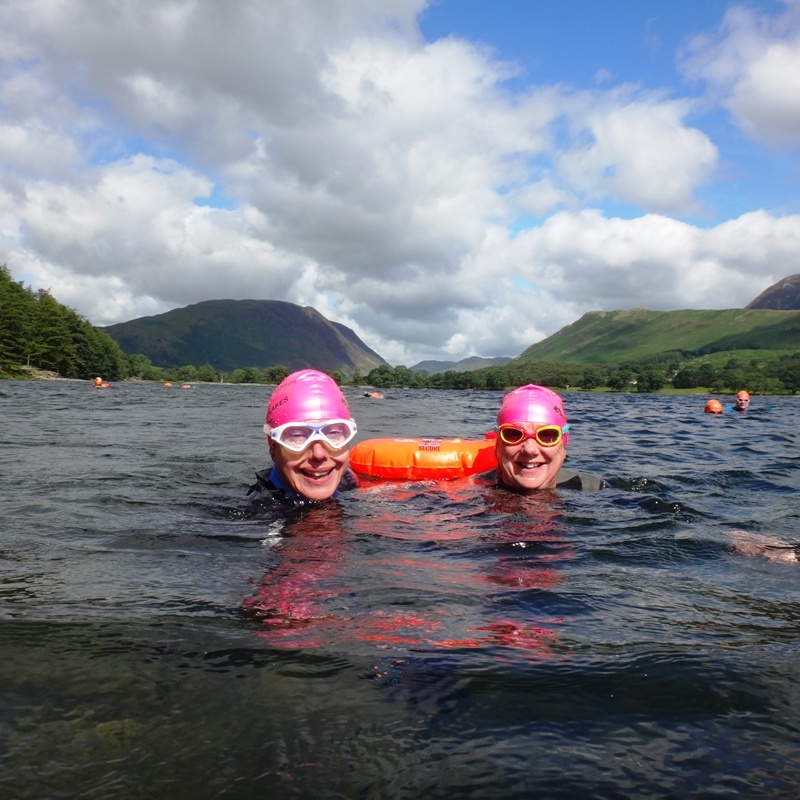 Click 12th July on the calendar to book – Choose deposit (£100) or full cost for the swim. Set amongst one of the most inspirational swimming locations in the world, the Utterly Buttermere Adventure Swim in the un-spoilt western Lake District is a must. We often get asked where our favourite place to swim is. 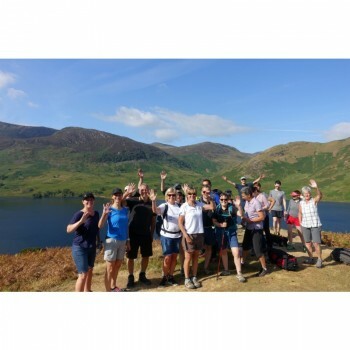 Well, the secret is out, the Buttermere Valley is right at the top of the list! 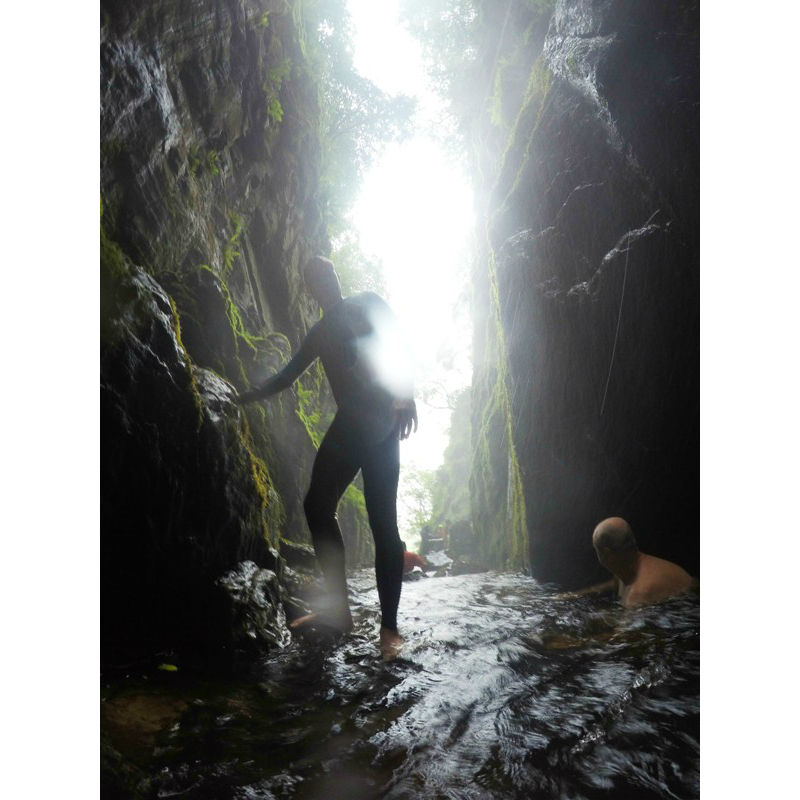 As well as the amazing views of the surrounding crags and fells, there is the amazing water clarity which reflects the green-blue tint of the slate and makes every swim a special experience. 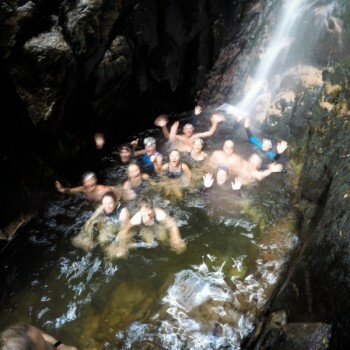 Each day will be arranged according to the weather and group aspirations, but we guarantee that it will be a lot of fun and packed with swimming opportunities, with just the right amount of challenge for you. 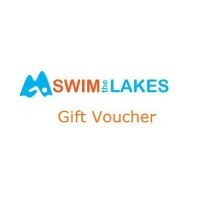 Our aim is to give you the option to swim or relax as much as you’d like. 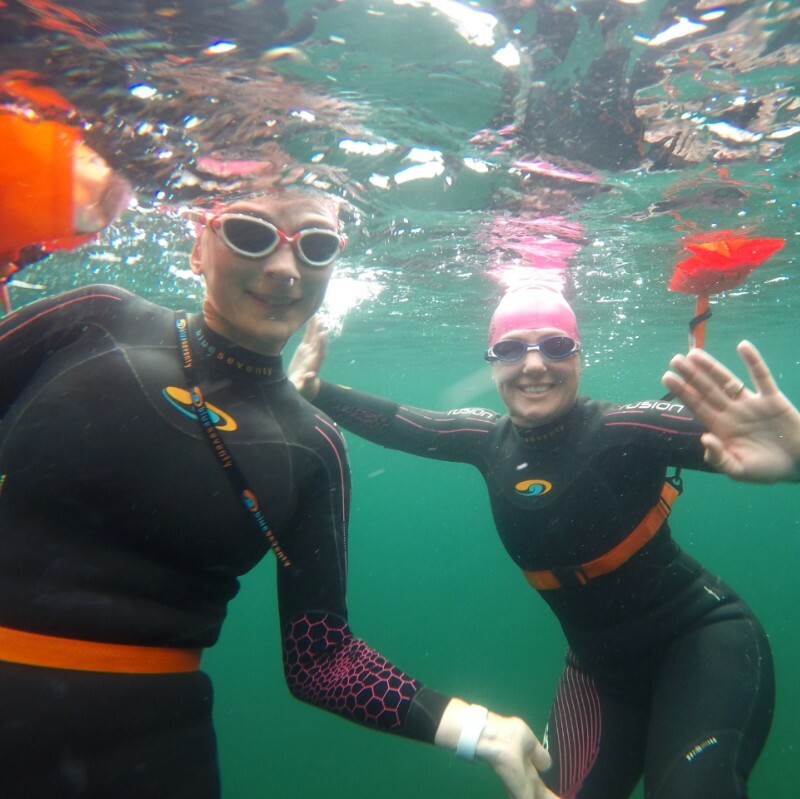 Although you can swim upto 5km per day this is not a race, we know you are on holiday and allow for plenty of breaks and in-water refreshment stops. 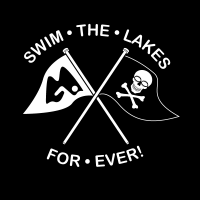 Swim Ability & Fitness Level: Suitable for confident swimmers who can comfortably swim at least 2 miles in open water (sea or lakes). 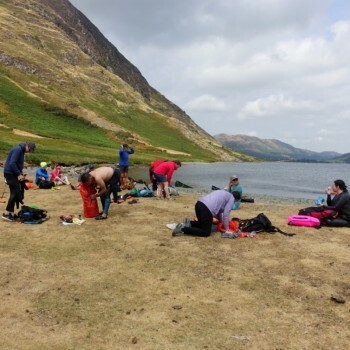 Moderate fitness level necessary as we swim up to 5km each day, and the journey involves moderate hill walking over typical Lake District terrain. All meals including 2-course dinner on Friday and Saturday evenings, a packed lunch and hearty breakfast on Saturday and Sunday. Tea & coffee are available throughout the day from the kitchen. Parking at the accommodation is free & subject to availability, with more parking close by. Please see the ‘Itinerary’ & ‘Accommodation’ tabs on the left for more information. A full trip itinerary will be emailed after booking. It was a perfect weekend, a little rain while we were swimming on Saturday, just to make it more interesting – I like swimming in the rain. Mostly sunshine on Sunday. Big thanks, to you and Pete, for a hugely challenging but brilliant weekend. It was thanks to all your support and encouragement that the breathless panic in the choppy waves of that first night ended in a euphoric front crawl finish. What a great ending, and the lovely walk back to the YHA was a delight. We did have an amazing time, swimming even open water hasn’t been the same since! missing the beautiful scenery and clear water. Thanks again to Pete, Lianne and Tors- Emma and I hope to book something for next year so we’ll be in touch. Thanks Steph. Fabulous weekend. Thank you to everyone. Now looking to the next adventure. 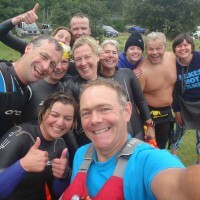 What a fantastic weekend with great swims and great company, can’t wait for the next adventure with Pete and the team, thank you for looking after us. 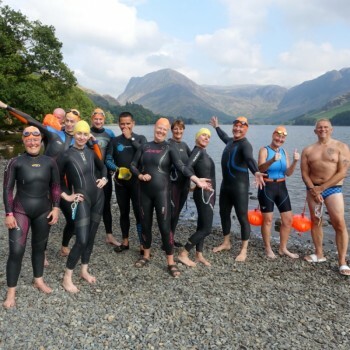 Good morning Pete, Andrea and the team, Just waking up this morning wishing we had another swim in the lakes to look forward to……..it was a great swimming programme and I thoroughly enjoyed the trip, not least due to the lovely weather, stunning scenery and of course the excellent guided support, encouragement and lots of fun. 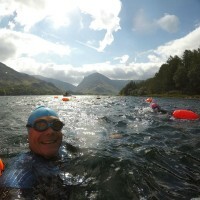 I especially liked the walk into the Crummock Water swim and the challenge of the Buttermere round and the plunge pool! Our swim adventure begins on the the afternoon of day one with informal introductions, full briefing, a quick change and an fabulous acclimatisation swim in Buttermere, followed by a hot shower before dinner is served. 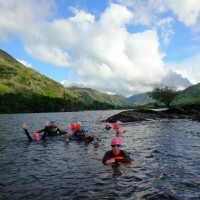 Our second day encompasses Western Lake District swimming at it’s finest. 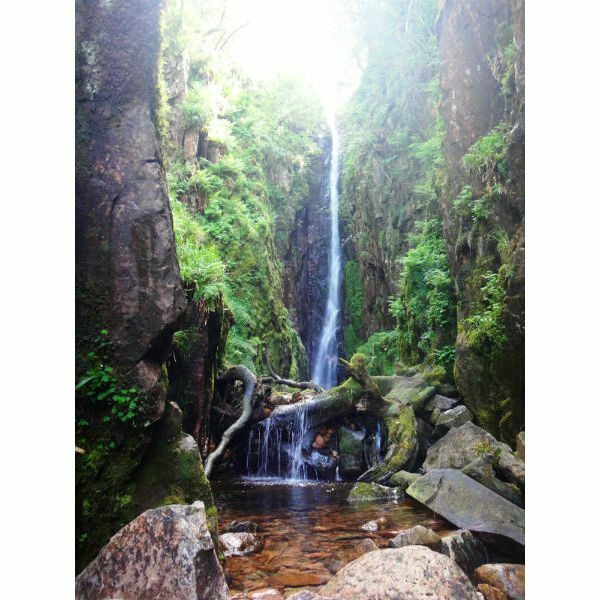 Big views and journey swimming along the length of Crummock Water make this day a joy and we throw in a trip to see the highest waterfall in the Lakes just to really spoil you! 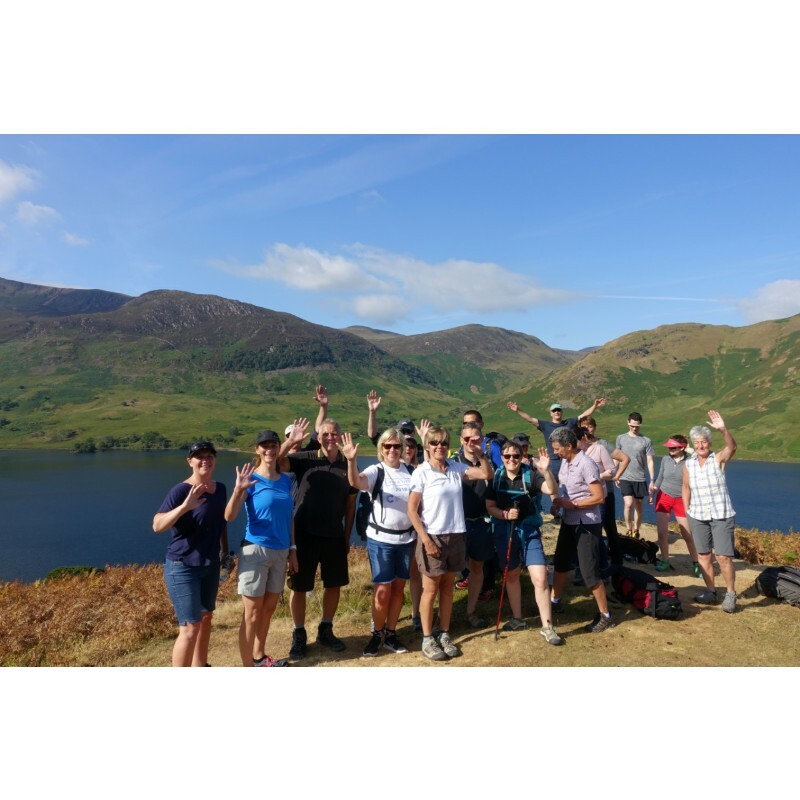 On day three we take advantage of the whole of stunning Buttermere right on our doorstep with enough time to enjoy some lakeside or even ‘in lake’ tea and cake and take in the views. 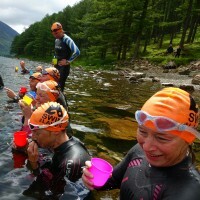 If time, we then head to Loweswater for a dip. 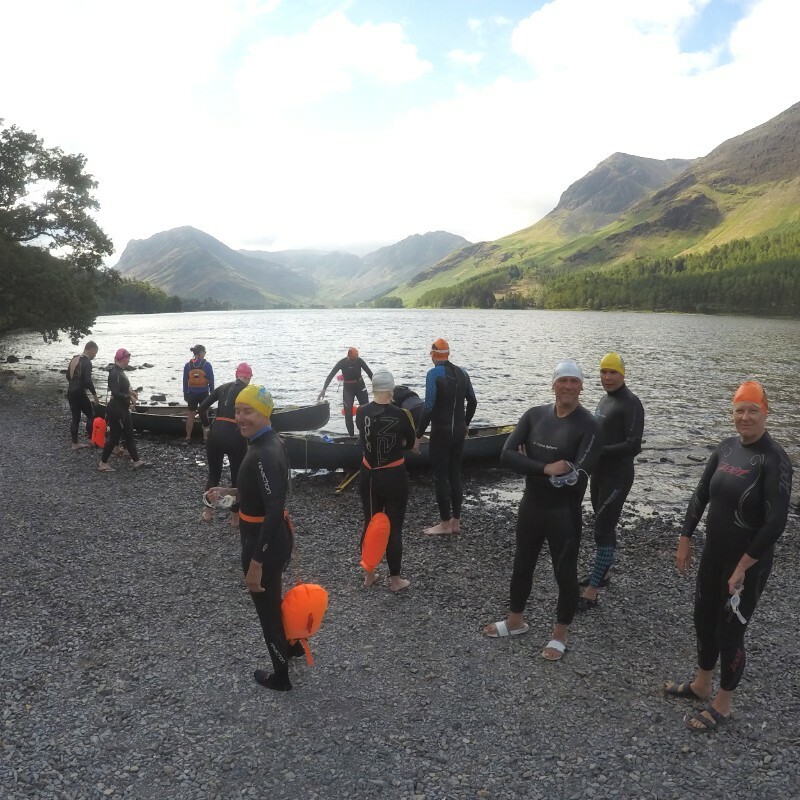 Our aim is to give you the option to swim as much as you like so that you can make the most of our Lake District wild swimming venues. 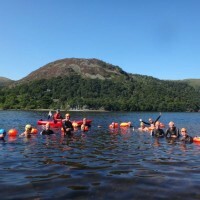 If you feel like kicking back and taking a break from the swimming, there are hot drinks at the hostel plus 2 suburb cafes, 2 proper lakeland pubs and great ice cream in the Village. We’re here to give you a great swimming adventure experience, in a wonderfully relaxed environment, so please… make the most of it. 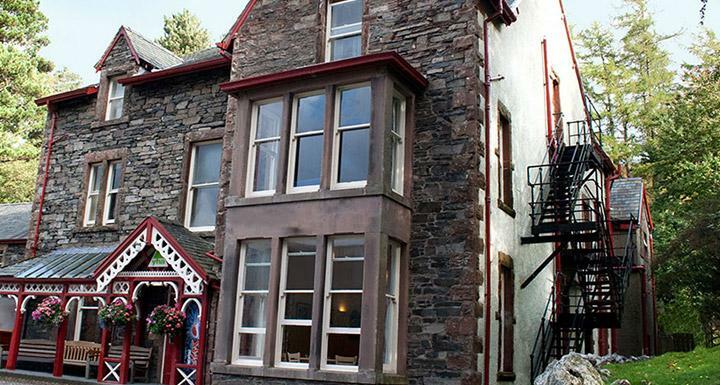 The YHA Hostel in Buttermere was a Victorian hotel which now manages to blend old school hostel charm with comfortable modern facilities. 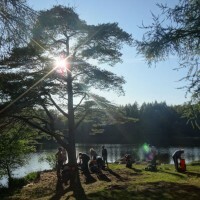 Accommodation is in small dorm rooms, usually between 3 -5 beds, private to our group members only. 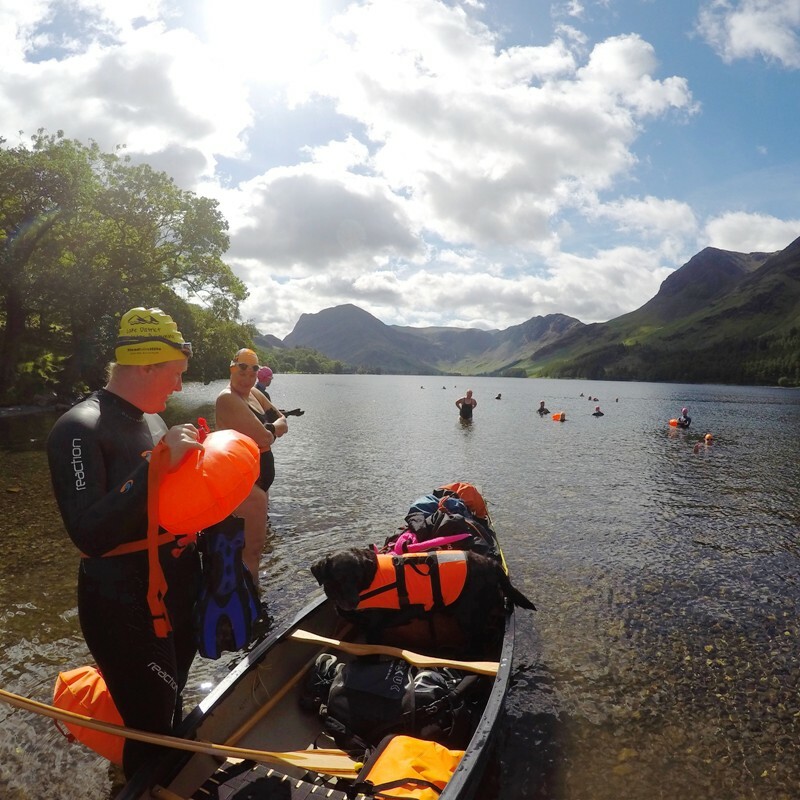 We have all-day access to the hostel and it provides the perfect swim base for our Utterly Buttermere Swim Adventure, with hot showers, drying rooms, restaurant and bar. The main line trains from London to Glasgow pass through Penrith and from here you could catch the X4/X5 bus to Keswick and then jump onto the Honister Rambler to Buttermere. Please check details and times before booking. 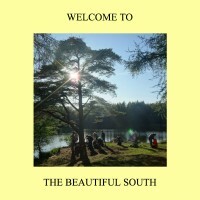 Here is a link https://www.buttermereweb.co.uk/travelling-buttermere/ which may also prove to be useful. We are happy to ask other guests if they may be passing Penrith or Kendal rail stations to see if they may offer lifts, guests often do, and at the end of your holiday we have always found that fellow guests are more than happy to offer lifts if they can help. 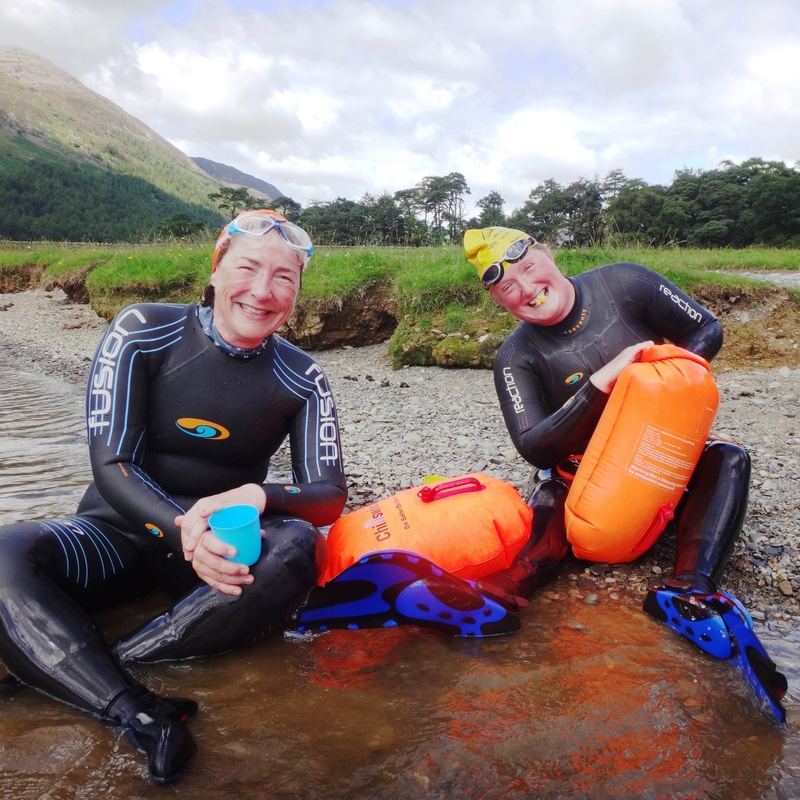 Wetsuits: Swims are in wetsuits for this trip, please mention at the time of booking if you’d like to hire one. Deposit: If you are paying a deposit please remember your outstanding balance must be with us a minimum of 10 weeks before your trip start date. As we do not send reminders we advise you to put this date in your calendar now. Balances can be paid by ringing us with your card details.See terms & Conditions for more info.